Tucked away in West Auckland, in an unassuming industrial section of New Lynn, is one the hidden treasures of New Zealand’s musical landscape. Over its 14-year history – driven by the unflagging passion for left-of-centre music of its founder, Andrew Maitai – Powertool Records has become one of the most prolific labels the country may have ever seen. Some of the artists released on Powertool may not be mainstream chart-toppers (with some notable exceptions), but they contribute an undeniable richness to New Zealand music. Powertool Records emerged in 2001 as a vehicle for Maitai’s band Joed Out, a band he joined despite having no musical training. 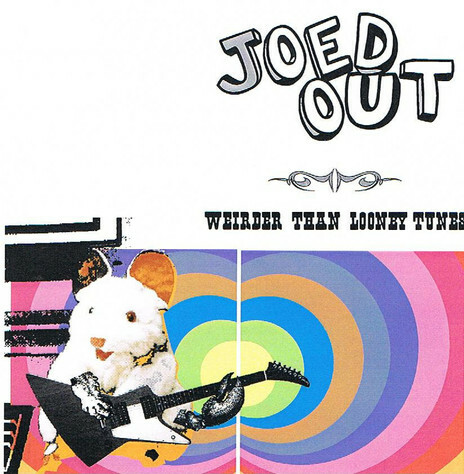 Joed Out loved early Flying Nun and was inspired by their formative DIY days, with the band’s early recordings done on a 4-track; and Powertool’s first release was Joed Out’s EP Floorshow. Bulletholes is jam packed with indie pop gems from Voom, Edward Gains, Mary and many other movers and shakers in the Auckland band scene of the time. Fourteen years later, 174 releases have been put out under the Powertool name, in addition to a further 31 Kaleidoscope World Series compilations. And while the music industry has changed so much since those early days, Maitai’s raison d’etre is the same: releasing and promoting music he loves. The artists released by Powertool reflect a pantheon of some of the cream of the New Zealand underground: Robert Scott, The Puddle, Bill Direen, Jordan Reyne, Brother Love, Sandra Bell, Matthew Bannister, and Simon Maclaren have all released records on the Powertool imprint, alongside a roster of worthy internationals such as Greg Franco, Azalia Snail, Lord Bishop, the Black Watch and King Missile. Maitai also values championing young artists and, frankly, new bands of any age. Surf Friends, Nick Raven and Mucus Kids have been amongst his younger protegees, but you don’t have to be a kid to be nurtured. 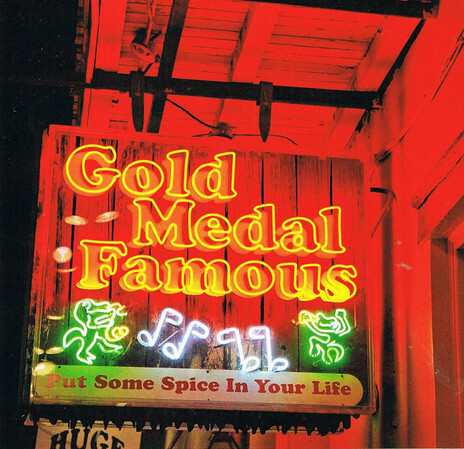 Gold Medal Famous, The Doubtful Sounds, Seeds of Orbit and The Pleasures of June are Powertool bands whose members are of a more mature vintage, but equally valued. Touring is the icing on the cake for this homemade record company: Maitai’s happy place is on the road with a bunch of great artists. A coup was scored when Powertool brought legendary King Missile frontman John S. Hall to New Zealand from New York: the nationwide tour he did with Dan West and Azalia Snail was a real celebration for the label. Maitai has also taken New Zealand artists to Australia and the USA; in 2015 he took Gold Medal Famous and Mucus Kids to play Powertool showcases in Melbourne. The label didn’t take long to start building an international roster. In the early days, Maitai made connections with overseas fans and other like-minded indie labels; those connections led to him releasing music by overseas artists. Some have toured here, and other relationships have developed even further, as with US musician Greg Franco and his band Rough Church. Maitai met Franco through Robert Scott, after Franco’s previous band Ferdinand played a show with The Clean in the USA. Greg made a strong connection with The Clean and travelled to Dunedin to record an album with them, which was released on Powertool as Southpawwest by Greg Franco & The Wandering Bear. Since that first release, Powertool has become Franco’s international label of choice and he considers New Zealand his second home. The label has spawned bit of a mini-empire, housing the live venue UFO and a record store, Alien. For many years, Maitai and crew ran shows in Auckland city under the name the Indie Club. For many years, Maitai and crew ran shows in Auckland city under the name the Indie Club. “At one stage it was my main source of income … at its height I was doing shows five nights a week, usually with five band bills. In hindsight, I don't know how I did it, finding 20-plus bands every week, week in and week out. Eventually I started UFO to take that pressure away … it put the focus back on music as opposed to selling alcohol.” The venue also provides Maitai with the versatility to put on a Powertool showcase at the drop of a hat. 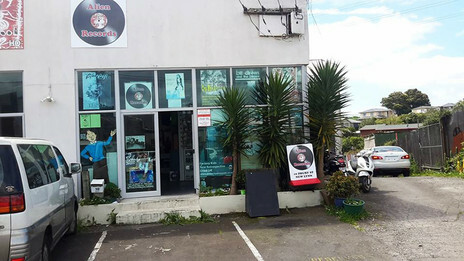 Alien Records in New Lynn, home to the Powertool label and UFO venue. Powertool is by no means a solo effort: Maitai has over the years worked alongside a team of passionate people who bring their own skills and vision. Danny Manetto is the resident sound engineer: he runs his studio from PT HQ and he and Maitai run UFO together. Manetto also does a lot of work for the Powertool label, involving recording, mastering and live sound. “He adds an extra bow to the services that we offer,” says Maitai. Eric Hardy runs Alien, once again in partnership with Maitai. 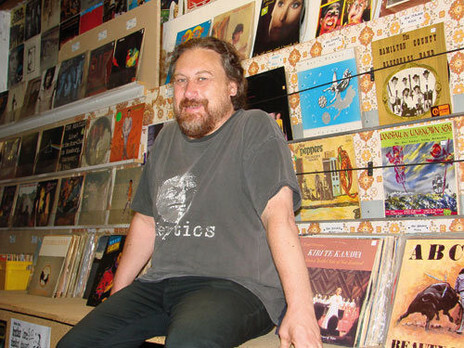 Hardy looks after a very impressive selection of new and used records ranging from classics to the latest releases. 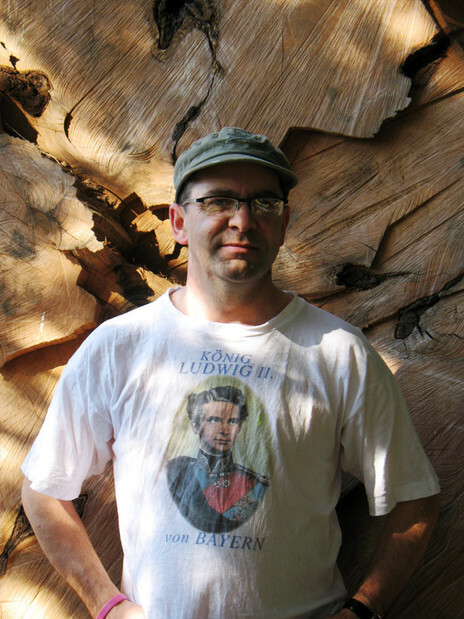 Thomas Keitsch lives in Hamburg, but is a huge New Zealand music fan and aficionado of early Flying Nun. Maitai and Keitsch’s friendship flourished online from a mutual hobby of collecting bootlegs and live recordings; when Maitai started Powertool, “he was a great inspiration and supporter.” Keitsch runs the Powertool Bandcamp pages, and has his own tape label, Thokei Tapes. When pressed to pick a favourite release, probably as you’d expect he can’t. But newbies to Powertool would probably find PT100 a good place to start – their double retrospective compilation that celebrated 100 releases. 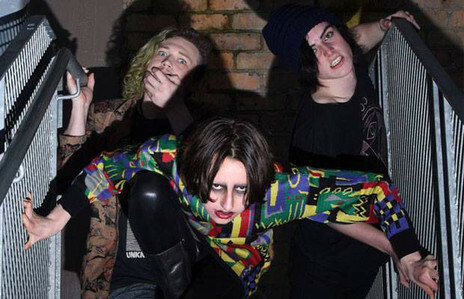 Mucus Kids – a “sewerpunk” trio comprising the gloriously named Loz L'estranja (who very sadly passed away in August 2017), Madison Von Uber Rothschild and Sebasschin Cumbag – emerged in 2013 while still at school, and proved to be one of the most exciting live bands around. Andrew Maitai remembers them with great admiration. “They quickly developed a following with their outrageous live shows. With every performance, their confidence grew and before long they were pulling large crowds. Loz wrote challenging songs that often made me feel uncomfortable with their content. She was incredibly smart … I did a couple of tours with the Mucus Kids, one to Australia. She was magnificent. I will never forget Loz.” They released one EP in 2015 – when you listen to it, try to picture the majestic chaos that happened onstage. 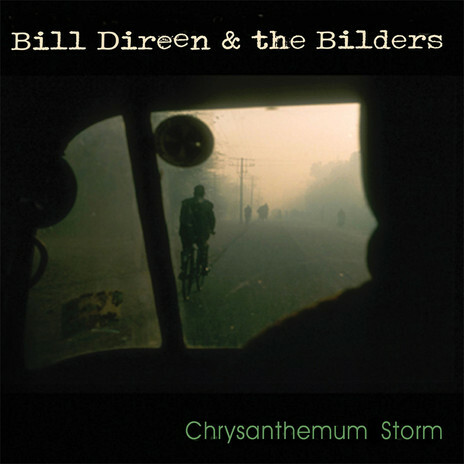 Bill Direen is a true New Zealand treasure, known worldwide for his songs, poetry and literature. Chrysanthemum Storm is the vinyl reissue of an album which was first released by Powertool Records on CD in 2008; the vinyl edition is a limited edition co-release by Powertool Records, Zelle Records and Southindies. The album is inspired by a winter Bill Direen spent in Dunedin, when a snow storm hit “and the huge flakes spread out across his windscreen like white chrysanthemums.” It balances humour and gravity, and every song on the album was inspired by people, stories and events going on at the time in New Zealand. This solo EP originally came out as a tour-only CD made for a series of German shows in 2002. At the time only 30 copies were pressed. This five-track gem showcases not only the many talents of Bats and Clean member Robert Scott, but also the prodigious Dale Cotton, who recorded and co-produced the EP as well as contributing keys, samples and programming. 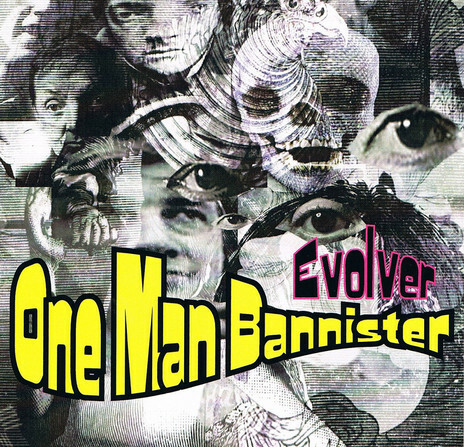 Best known as one of the main songwriters in legendary Flying Nun band Sneaky Feelings, Matthew Bannister had the audacious idea of creating his own version of what is widely considered the Beatles’ best album: he remade Revolver as Evolver, putting his own unique spin on each of the songs. It was critically acclaimed, and became one of the best-selling albums in the Powertool Records catalogue, reaching No.14 in the New Zealand album charts. 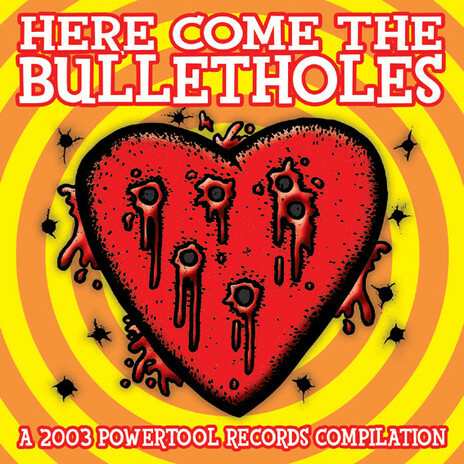 The first Powertool Records compilation, Here Come The Bullletholes (2003). 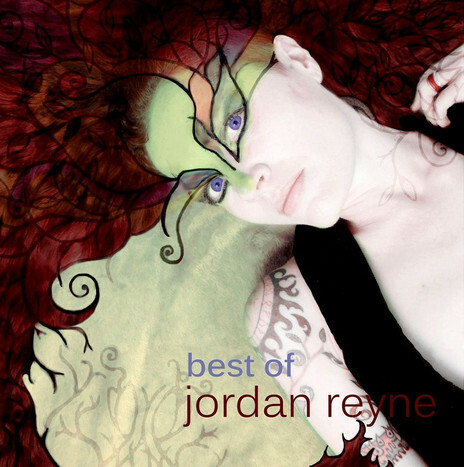 Among the 18 tracks are songs by Chris Knox, Voom, Mary, Shaft, The Rainy Days, All Torn Up, Joed Out, Cabbage Bomber (featuring Mark Peterson of Seeds of Orbit, and formerly Straitjacket Fits and the Demi-Whores), and the Demi-Whores themselves with one of Edward Gain’s standout songs ‘Good Angel, Bad Angel’, plus other highly tuneful artists. The songs still hold up as great slices of indie pop and rock. And to see where Powertool Records had landed by 2010, check out their 100th release, simply named PT100, which incorporates a number of international artists alongside their stallar local roster. Featuring The Puddle, Sandra Bell. Matthew Bannister, Robert Scott, Azalia Snail, Bored Gordon and many more. 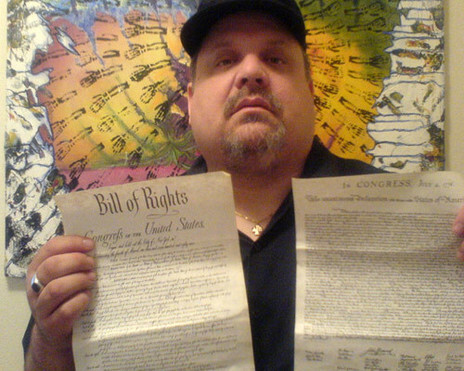 US musician Greg Franco met The Clean when his band Ferdinand played with them in LA in 2001. They bonded and in 2004 Franco teamed up with David Kilgour, Robert Scott and Tane Tokona to record the majority of Southpawwest in Dunedin. Greg dubbed the new project/band “Wandering Bear” as in “the California brown bear wanders down to Kiwi-land.” The album has a 1960s pop influence, and a tight groove, laid down by the talented rhythm section of Tane Tokona (drums) and Robert Scott (bass). This is a nice introduction, by way of some true New Zealand legends, to the music of an American who considers New Zealand his second home. 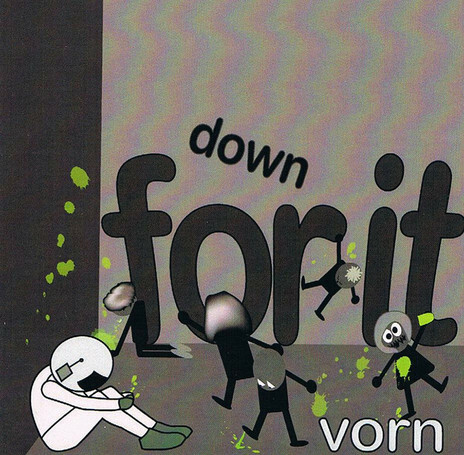 Vorn didn’t say this, but it is also true: His 2011 release Down For It was a bona-fide masterpiece of pop songwriting, effortlessly switching between (and occasionally mashing together) seemingly disparate genres to create an entirely new vision of what pop music can be in the 21st century. Simon Sweetman opined, “Colgan is one of this country’s greatest songwriters, never cloying or faux-romantic; these are direct songs, honest, cynical, sincere, hilarious and in many cases ridiculously catchy.” Grant Smithies concurred: “Here’s a man capable of wringing great pop from the bleaker aspects of modern urban life.” Highly recommended track: ‘Mental Health Issues in Newton Part 2’. Vorn is also a member of Gold Medal Famous. Gold Medal Famous are a trio of 21st century subversives (Chris Wilson, Tamsin Grigg and Vorn Colgan) who specialise in avant-garde pop and “eclectotronica” – a term they coined to describe their constant defiance of genre norms. They play music with brains, a beat, and stuff that will make you dance and laugh out loud. A Gold Medal Famous live show is always guaranteed to be highly entertaining, and often includes audience interactions with Theremins. They have released six albums and EPs to date. This, their most recent album, takes on club music and twists it in their own inimitable way. As the bio says, “Ben [Barrett] and Andrew [Maitai] met for the first time in the summer of 2000 at a Guided By Voices gig. Introduced, they said little but raised ale glasses politely at each other in a way that didn’t really forecast the beginnings of anything. That night a seed was planted, though quite possibly the best thing (also quite possibly the worst) that ever happened to them.” Later joined by Justin Schilder and Matt Backhouse, the Joed Out Retrospective tracklisting is taken from the two albums and one EP the band released during their time together. This was the beginning of the Powertool Records story.